Galaxy Weblinks Manual Testing Framework is designed to smoothly fit into the Agile Environment. The Framework is designed such that it enables our QA team to expertly deal with the changes during Agile Project Testing & Scrum Model Testing Implementations. Our QA team has a talent for finding problems that developers miss, and in synergy with our Manual Testing Framework will guarantee high-quality performance. 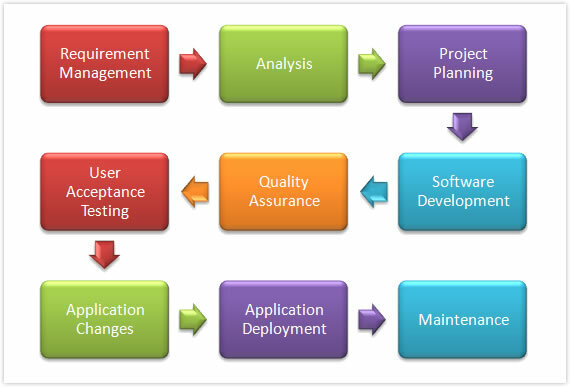 Based on Scope, Purpose, and Vision of any Software Project/Software Product the Galaxy Weblinks Test Service identifies required Manual Test Approach and Strategy, which fits to the proposed Software Project/Software Product Testing. A series of stand-alone tests are conducted during Unit Testing. Pragmatic method and meticulous approach to building a product by continuous testing. It is Black box testing and purpose of System Testing is to validate the application accuracy and completeness and make sure that it mimics the real scenarios. System Testing tests all components and modules that are new, changed, affected by a change, or needed to form the complete application. It is carried out with User Perspective Scenarios, where testing moves from the hands of the IT department into those of the business users. Internal system design is not considered in this type of testing. Tests are based on requirements and functionality. This type of testing ignores the internal parts and focuses on whether the output adheres to the requirement or not. Black-box type testing is geared to functional requirements of an application. Testing to determine if a new software version is performing well enough to accept it for a major testing effort. Testing how well software performs in a particular hardware/software/operating system/network environment and different combination s of above. In house virtual user environment can be created for this type of testing. Testing is done at the end of development. Still minor design changes may be made as a result of such testing. Ensures that the Delivered System or Software meets with Client Requirements.